High on the hill at Hamilton stands one of Brisbane's most impressive houses, Toorak House. 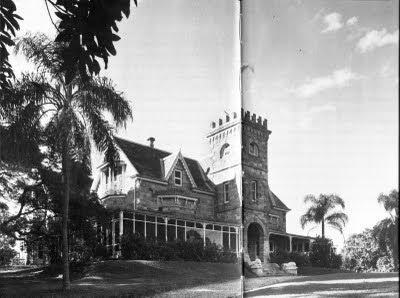 Constructed of local stone, it was built in about 1865 for Brisbane businessman, land owner and later Queensland Premier, James Dickson. Dickson had a hand in early Queensland businesses such as Queensland Trustees and Brisbane Permanent Building and Banking Society. 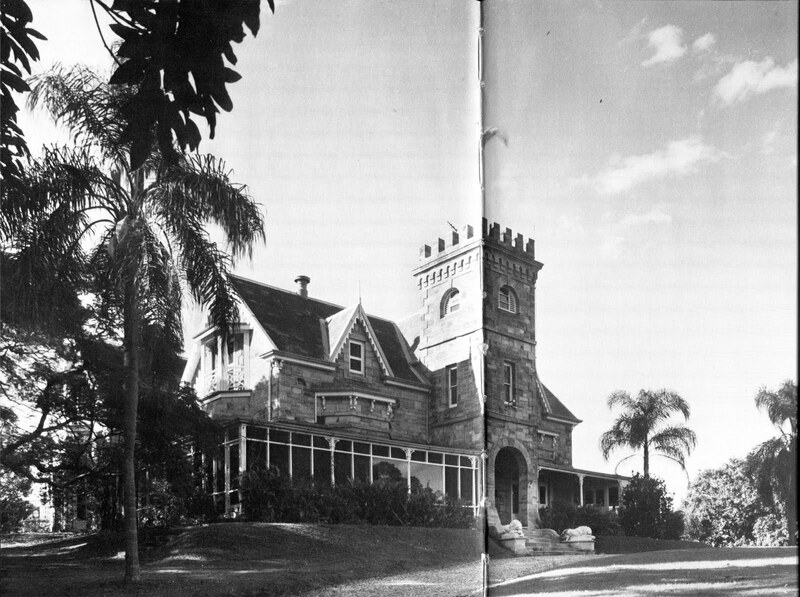 The following photo of Toorak House was taken around 1890. Toorak House has changes hands relatively few times since its construction. It was held in trust by members of the Dickson family after James Dickson's death, then was bought by John Gibson. One of the subsequent owners was famous Brisbane philanthropist Harold de Vahl Rubin, and it is currently held by the Allen family who have owned Toorak House and its two acres of land since 1963. Toorak House is actually quite difficult to photograph, and I was unable to copy the original aspect. It is surrounded by a solid high fence, and up close there is no view of the house. My photograph (above) was taken from Kingsford Smith Drive using a telephoto lens.